Amber 45 - Rare FREEHOLD Walking Distance to Marine Parade MRT. Let the Beach be Your Neighbour! Get Your 1st Hand Info Here. Too Many New Launches in District 15 along East Coast? Contact us for a comparison table of the new launches in District 15 before you buy anything. 🏆 BEST Luxury Condo Interior Design!!! 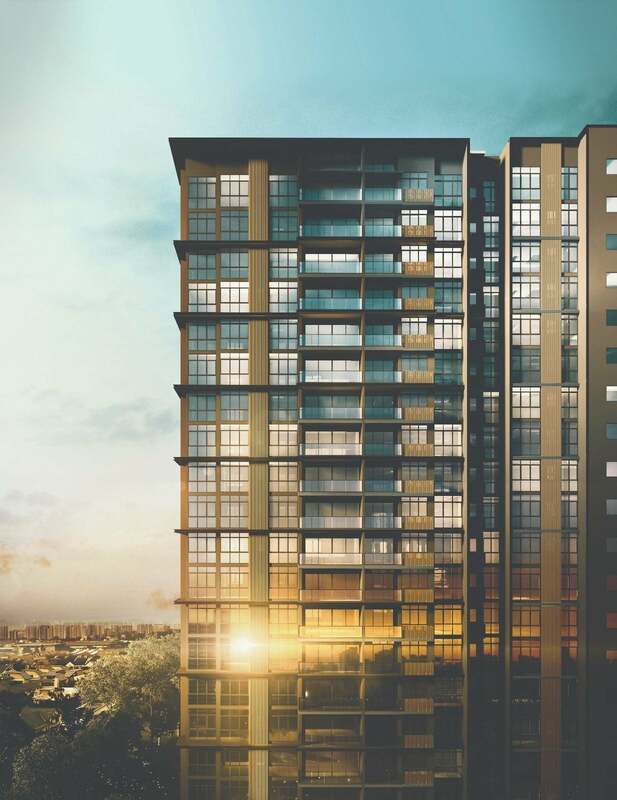 Amber 45 is a freehold condominium located at 45 Amber Road 439886 in District 15. This condominium consists of single 21-storey residential block with 139 exclusive units in total. The condo’s unit sizes start from 614 sq.ft. up to 1,798 sq.ft. with 2 bedrooms, 3 bedrooms or 4 bedrooms. Thera are 2 upcoming MRT stations located approximately 7 to 10 minutes’ walking distance from the condo, namely as Tanjong Katong (TE25) and Marine Parade (TE26). While there are 2 bus stops right closeby with Amber 45, the Opp. Amber Garden ID 92249 Amber Garden ID 92241. Amber 45 is well-equipped with one of the most sophisticated facilities. It is as well quite significant to appreciate that there are 2 different kinds of facings of the buildings. The First one is facing at the Shore Residence whereas the 2nd one is the one that is definitely more perfect is facing the Marine Parade Roadway because it has an interesting Sea View. The units that start from the sixth floor and above are truly able of getting a view which is completely unblocked. This is somewhat rather significant. Amber 45 is accessible at Amber Rd, Mountbatten Rd, Marine Parade Rd, Still Rd S which would connect toward the East Coast Parkway (ECP). Our unwavering commitment to architectural and quality excellence is reflected in all our developments, winning us prestigious awards such as the FIABCI Prix d’Excellence Award, Aga Khan Award for Architecture, Urban Land Institute Awards for Excellence and President Design Award. Amber 45 is located near to East Coast Park where it is an ideal place to gather with your families and friends for some outdoor sports and leisure activities. There are sports facilities such as sailing and Cable Ski located at East Coast Park. For residents who prefer to catch up with friends, the East Coast Seafood Centre will be an ideal place to relax in where many authentic local dishes are served such as chilli crab, mee goreng. It has become a popular dining spot among the locals as well as expats in Singapore. Amber 45 is located along Amber Road and the mentioning of this area will fill your minds with all the delicious food offered in the area. There are several eateries located along Amber Road and some of the famous ones include Paradise Teochew Restaurant at the Chinese Swimming Club. Classic Teochew dishes as well as Singapore signature dishes are offered in the restaurant. Thomson-East Coast Line is the latest addition to Singapore’s transportation of MRT Lines and will be completely automated and driverless. The Thomson-East Coast Line will start operating from 2019 onwards and will pass through the Thomson area as well as the East Coast area. Amber 45 will be located near to Tanjong Katong MRT Station on the Thomson-East Coast Line. There will be a total of 31 Stations in the Thomson East Coast Line and it will be the first cashless MRT line in Singapore. There are also other cuisines at Amber Road such as the Tokaikan Japanese Restaurant which features an open kitchen concept. Also, the famous Katong Laksa is located near to Amber 45 as well.